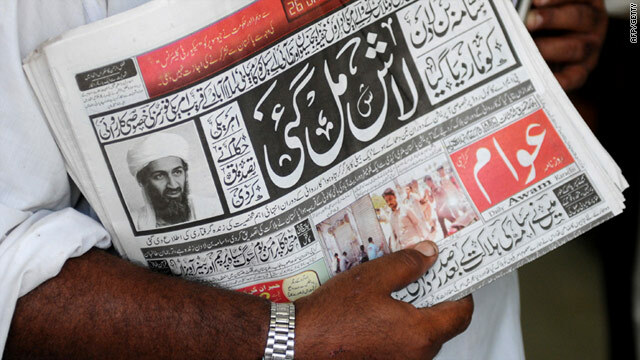 A newspaper vendor in Pakistan -- reaction to the death of Osama bin Laden has been more subdued in other parts of the world. CNN correspondent: Reaction from Israel is: 'It's about time. This has taken far too long.'" (CNN) -- News of the death of Osama bin Laden sparked late-night celebrations in the United States -- but the response in the Arab world has been more cautious and subdued. There were no scenes of jubilation in streets across the region, though the death dominated news broadcasts. In Yemen, a member of al Qaeda in the Arabian Peninsula described bin Laden's death as a "catastrophe," Agence-France Presse reported. "At first we did not believe it, but we got in touch with our brothers in Pakistan who have confirmed it," the member said. One Yemen official, who declined to be named, welcomed the announcement and described it to CNN as "a truly historic moment," adding: "We welcome the news... millions of people will sleep in peace tonight." In the United Arab Emirates (UAE), the Foreign Ministry said the killing of bin Laden would strengthen the international community's efforts in countering terrorism. "Apart from claiming lives of thousands of innocent victims, terrorism has had significant negative impact on the image of Islam and Muslims," Tariq Al Haidan, assistant foreign minister for political affairs, was quoted as saying by the state news agency WAM. However, he warned that bin Laden's death did not spell the end of al-Qaeda and terrorism. There has been little public comment from Middle Eastern leaders, explained CNN's Rima Maktabi in Abu Dhabi, despite heavy coverage of the news. "On the one hand they have been part of the battle against al Qaeda," Maktabi said. "We know there have been massive efforts by the UAE government and officials to curb al Qaeda's presence and influence in the region." But, she added, the region's leaders are aware that some sections of society regard bin Laden as a hero and are wary of provoking retaliatory attacks if they are seen to celebrate his death. "Even the Arab networks, they're very careful about how they air the news, what analysts they host and how they are tackling this topic," Maktabi said. In Kenya, families of victims of the al Qaeda attack on the U.S. embassy in Nairobi in 1998 were quietly celebrating, said CNN's David McKenzie. Charles Muriuki, who was 15 when his mother was killed by the blast, told McKenzie: "Finally the day has come, justice will always prevail." In Israel, the news dominated television and radio coverage on Holocaust Memorial Day, an occasion normally devoted to somber programming that reflects on the deaths of millions of Jews. CNN's Phil Black, reporting from Jerusalem, said Israelis there had expressed a sense of satisfaction that bin Laden had finally been captured. "The reaction from Israel is: 'It's about time. This has taken far too long,'" Black said. 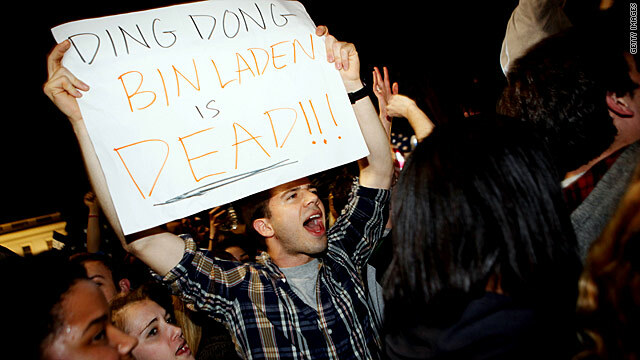 He added that Israeli leaders would be monitoring reaction from the Palestinian territories to bin Laden's death. "In the wake of September 11 there were video images of Palestinians celebrating the fall of the Twin Towers and over the years the Palestinian situation has been very much a rallying point for Islamist groups around the world," Black said. However, he added, scenes of intense anger or sadness were unlikely. "Within the Palestinian territories itself you're not going to see strong gestures of anger or sadness among the broader population certainly. The territories are a very different place than they were 10 years ago." Afghan President Hamid Karzai said he hoped bin Laden's death in neighboring Pakistan would help convince the world that his country is "not the place of terrorism." "If the international troops are the true allies of Afghans, now they should come up to say that killing of the Afghans, women, children and elders was not a good idea in the last many years as it was happening on a daily basis," Karzai said on RTA TV. 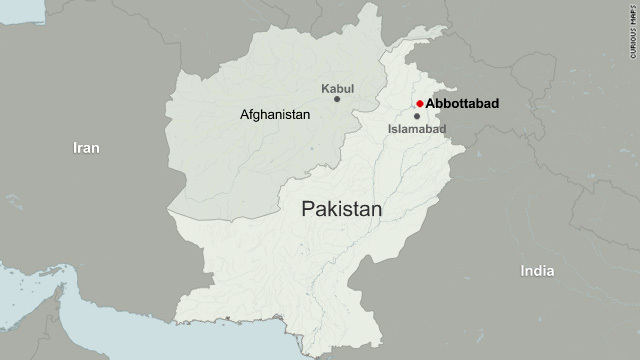 Afghan opposition leader Abdullah Abdullah said bin Laden's killing proves that Pakistan is a "haven" for terror groups. "Killing of Osama bin Laden is pleasant news for Afghans, and now it's proven that al Qaeda and other terrorist organizations are not based in Afghanistan and Pakistan is a haven for them," he said. CNN's Rima Maktabi, Phil Black and David McKenzie contributed to this report.